Aside from S.Y. Tang of Canton Metal Windows (profiled earlier) and Paul Lee Yao-I of China Steel Works (to be profiled later), another key figure in the post-War metal window industry in HK was Chow Mud-wai of Cheung Fat Steel Window (祥發鋼窗). A native of Nanhai in Guangdong province, Chow was born in 1909 and came to HK at an early age and made his fortune in construction via Ming Fat Construction (明發建築) and in metal windows via Cheung Fat Steel Window which he founded in 1947. In the 1950s and 1960s, Cheung Fat’s head office was located at at117 Tai Nam Street in Sham Shui Po while its factory was located inNgau Tau Kok. The firm was incorporated in 1955 with $500,000 in capital. In its later years, Cheung Fat was located at 442 Portland Street and was dissolved in 1991. From metal windows Chow expanded into movie theaters. 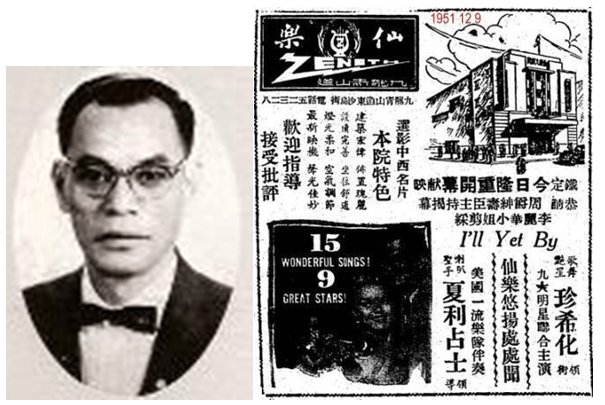 In 1951, Chow opened Zenith Theatre (仙樂戲院) at 184 Pratas Street in Sham Shui Po. The Zenith was the first theatre built in the area after the War and it was opened with Sir Shouson Chow and actress Li Lihua as guests of honor.The theatre, with capacity of 1238 seats, operated for 22 years showing second run English movies and first run Chinese films and was demolished in 1973 and re-developed into Po On Court. In 1958, Chow and Chow Chin-yau (鄒振猷) acquired the former site of the Bailey Shipyard in To Kwa Wan where they builtWah Lok Theatre (華樂戲院) in 1960. The cinema had capacity of 1261 seats but only lasted for 12 years as it closed in 1972 and was re-developed into a residential building. Outside of work, Chow was an active philanthropist who had served as director of three major charitable organizations – Lok Sing Tong, Pok Oi Hospital and Tung Wah Group of Hospitals (1963-64). From 1973-78, he was elected chairman of the Confucian Academyduring which he contributed HK$150,000 towards education. In 1980, his widow and son added another $200,000 to help the Confucian Sam Lok School relocate to Tai Po. In his honor, the Academy renamed the school Confucian Sam Lok Chow Mud Wai School. 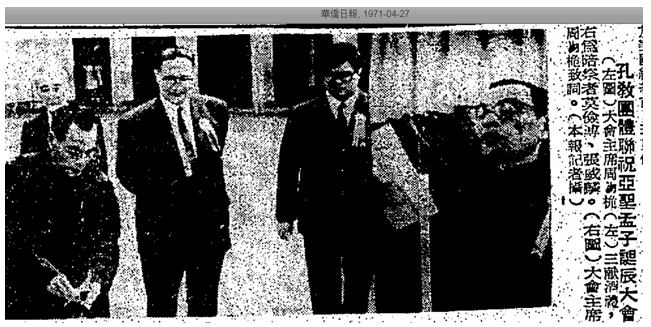 Chow and his wife Pang Sau-hoi lived in 21 Sau Chuk Yuen Road, Kowloon and he was succeeded in business by his son Ferdinand Chau Lap-kun (周立根), who served as vice chairman of Pok Oi in 1968. This article was first posted on 14th May 2018. According to the obituary of Chow Mud-wai, he died at the age of 73 on October 12, 1978 at St Paul’s Hospital in HK and was buried in the Chai Wan Buddhist Cemetery. Aside from his wife Pang Sau-hoi, he also had two concubines and a total of 23 children (9 sons and 14 daughters). 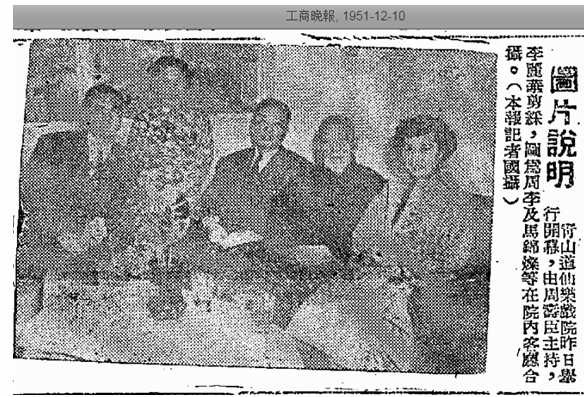 His ninth daughter Teresa Chow (周雅麗) married Joseph Yau Sai-man (丘世文, 1951-1998), a famous author and co-founder of City magazine (號外).